AC is best known these days from its association with Carroll Shelby and the remarkable Cobra he developed from the company’s excellent Ace roadster, but the story of the Auto-Carrier company goes back to the dawn of the Motoring Age in Britain, making its fortune through a three-wheeled delivery vehicle introduced in 1904, a vehicle that eventually developed into the charming Sociable. When S.F. Edge, formerly of Napier, un-retired himself in 1919 and joined the firm, it began a 20-year period of considerable success with light sports cars. Thomas Gillette in a 2-liter roadster set a 24-hour record at Montlhery of 82.58 mph in 1925, while the Hon. Victor Bruce entered his AC in the 1925 Monte Carlo Rally – the first British car to do so. He won the event in 1926, and his wife Mildred placed sixth in 1927 in her own AC. Throughout the 1930s, AC was a force to be reckoned with in competition, but when the company switched back from war work in 1945 they needed a new model. The result was the 2-Litre sedan introduced in 1947. Amazingly, it was powered by John Weller’s 76 bhp, 1991 cc SOHC six-cylinder engine that had first seen the light of day in 1922, and would be an option in the Ace roadster until 1963. The car was very much a prewar automobile in its design, with aluminum body over an ash frame, solid axles at both ends, hydraulic brakes up front and mechanical brakes in the rear. It was light and airy, however, with a rather upright vee-windshield, a big greenhouse and very nicely finished with a leather interior. 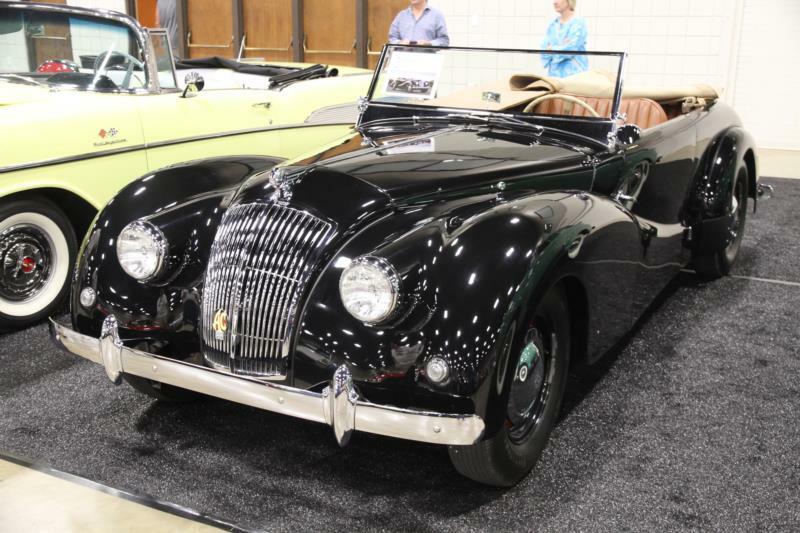 A two-door sedan was offered first, then a rare drophead coupe in 1949. Only 20 were built. A Buckland tourer was offered from 1949-54, some with windup windows, and a four-door sedan added to the line in 1952. In all 1,293 2-Litres were built in all body styles. They combined an 80 mph top speed with a 0-60 figure of 14 seconds and a rather hard ride. Long-term ownership seems to have been the norm and the survival rate is respectable. The production of all AC sedans was halted in 1956, as the company concentrated on its very successful Ace roadster, which could also be ordered with the old BMW-designed, Bristol-built six-cylinder engine. When that was retired in 1963, the 260 cubic inch lightweight Ford V-8 took its place, and the Cobra was born.